One of the stunning attractions of Buenos Aires is its beautiful architecture. The city walls, staircases and windows are full of stories each told in their own architectural style. One of the aesthetic tendencies that marked the city was art nouveau and there are a chock full of buildings that embody this trend. The Art Nouveau Association of Buenos Aires has just launched a map identifying 50 emblematic art nouveau landmarks in the city and they also offer five different tours, each covering a different neighborhood (San Telmo, Balvanera, Recoleta, Downtown and Congreso). 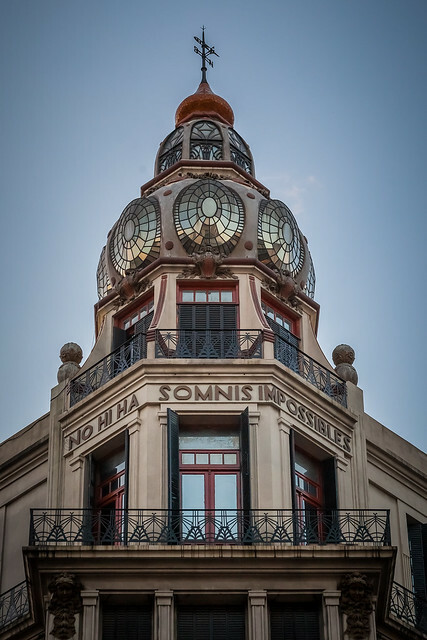 In their tours, they not only describe the art nouveau movement, and point out the relevant landmarks, but also tell the stories behind them with the aim of building an idea of how the local cultural identity was constructed. Tours must be booked in advance with Cecilia Alzano at 15-5376 1305 or at ceciliasalzano@hotmail.com. 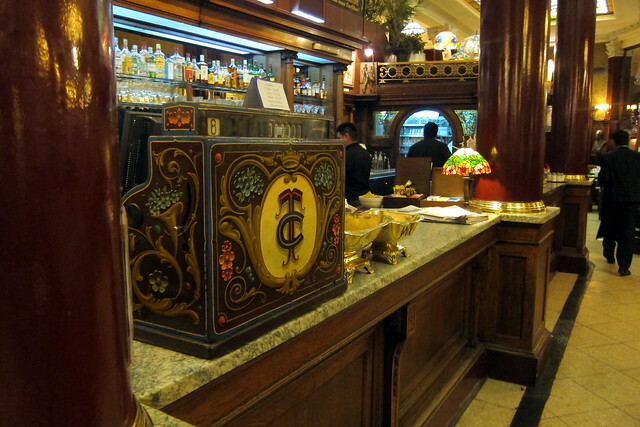 A full list of art nouveau buildings in BA is listed here. Start the week by paying a visit to the Museo Carlos Gardel and learn everything there is to know about the famous tango legend. Jean Jaures 735, Abasto. 4964-2015. Villa O Campo, located in San Isidro on the outskirts of Buenos Aires, brought together renowned twentieth century intellectuals and authors. Tours of the home and gardens are offered from Thursday to Sunday and afterwards some tea and scones are mandatory. 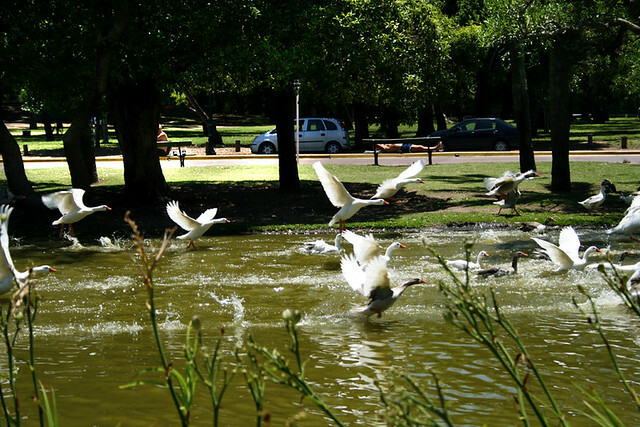 Explore the Tres de Febrero parks in Palermo. Between Av. Libertador and Lugones, and extending from Av. Casares in Palermo to La Pampa in Belgrano, this group of parks is composed of 25ha made up of 15 public parks and 21 private sport clubs and includes the “Rosedal”, an extensive rose garden, the Sivori Museum, the Planetarium and the Japanese Gardens. 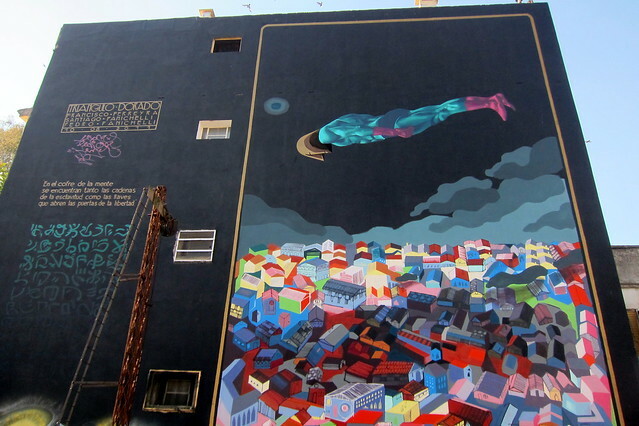 Take a tour with graffitimundo and explore the city streets and its prolific art. Then stop by Hollywood in Cambodia where you can purchase the local street artists’ works. In the evening, the Buenos Aires Philharmonic Orchestra will be playingat the stunning Colón Theatre starting 8.30pm. Cerrito 628, Downtown. 4378 7100. 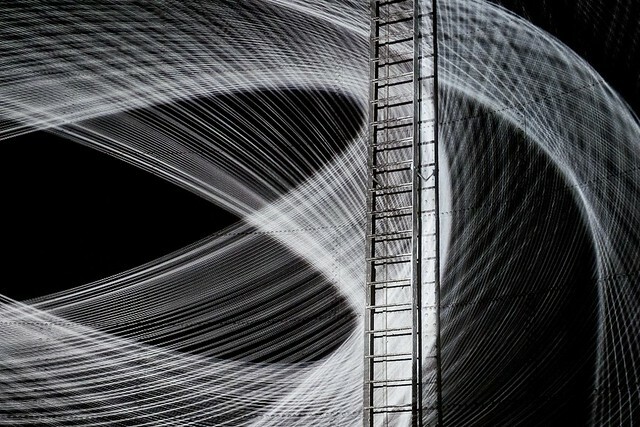 Stop by the Juan Gatti exhibit in the Sivori museum behind the Palermo Rosedal, and then head to the Planetarium where an audiovisual exhibit by the same artist is being screened. In the evening, visit Fierro’s Thank Fierro its Friday Happy Hour from 6pm to 8.30 pm and then head to one of the best speakeasies in the city! Soler 5862, Palermo. 3220-6800. 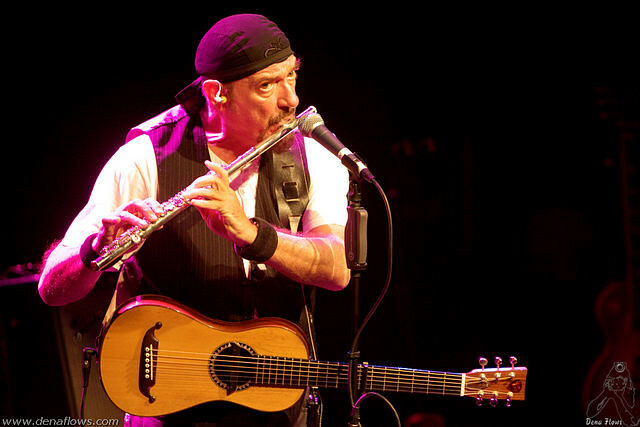 On Saturday, Ian Anderson, Jethro Tull’s leading man, will be playing live at the Gran Rex Theatre. Tickets here. On Sunday don’t miss the free concert at the Colón Theatre featuring the Camerata Bariloche at 11am. Be sure to pick up your tickets in advance! Cerrito 628, Downtown. 4378 7100. 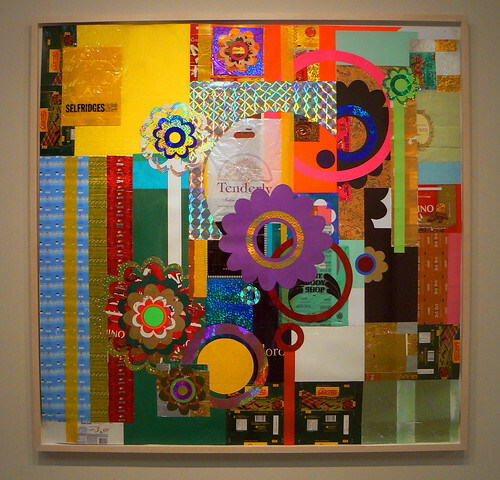 Check out the new MALBA exhibit “Panamericano” by the Brazilian Beatriz Milhazes that showcases a selection of the renowned artist’s recent paintings. Avenida Figueroa Alcorta 3415, Recoleta. In the evening stop by La Peña del Colorado where a tango peña will be held at 8.30pm. This Palermo-centered peña serves traditional food and stages live shows as well as hosting folklore dances for the community. From midnight onwards they also encourage the diners to play spontaneous guitar music. (They offer the guitars). Güemes 3657, Palermo. 4822-1038. info@lapeniadelcolorado.com. Rain is forecasted for Tuesday so plan for indoors! Find our list of rainy day suggestions here. If you’re looking for a laugh head to the Grin Go! Stand Up comedy Show starting at 9pm at the Absinth Resto Bar. Bartolomé Mitre 1695, Downtown. 4371-6486. Be sure to make a reservation by emailing gringo@comicosdepie.com.ar. The Cirque du Soleil will be presenting their new show from the 8th-30th of September at Complejo al Rio, Vicente Lopez. Tickets here. Head to the Dorrego Flea Market in Palermo, which is often overlooked and is the perfect place to go on a treasure hunt. Antiques and curious finds are waiting to be dug up and claimed in this charming neighborhood market. Open Tue-Sun 10am-7pm. Av.Dorrego and Conde. Later on, the Swedish electro band Covenant will be staging a live show at Niceto Club at 9pm. Niceto Vega 5510, Palermo. Tickets here. Don´t miss the Astor Piazzolla exhibit at the Centro de Exposiciones in Recoleta. J.E. Couture 2231, Recoleta. 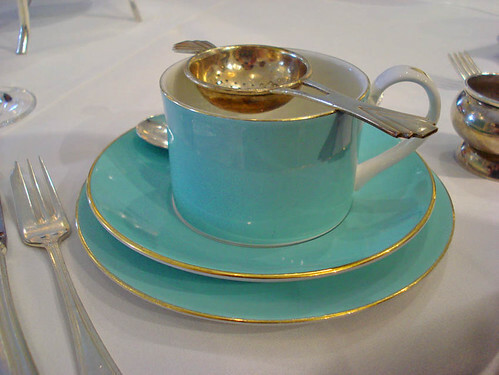 Later on sip on different tea blends at the special tea tasting at Chez Pauline, in Recoleta, which is being held as part of Vivi Francia, the Buenos Aires France Week. Book your place in advance at 4816-9988 or at info@chezpauline.com.ar. Book your place at Fierro Hotel’s Thursday wine tasting and sample some great Argentine wines, chosen by the president of the Argentine Sommelier Association Andres Rosberg and in-house Sommelier Martin Bruno. Tastings, which include special tapas from Hernán Gipponi Restaurant, cost 35 USD per person and are limited to 7 people. Soler 5862, Palermo. 3220-6800. 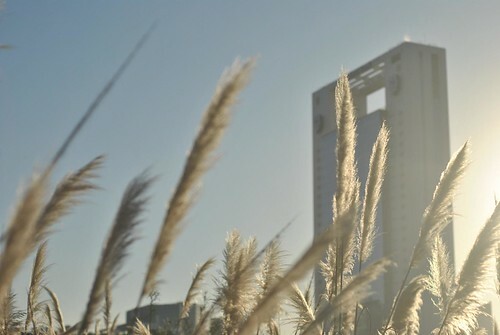 Celebrate the first day of Spring by heading to the ecological reserve behind Puerto Madero where you can catch one of the best views in the city! (Keep in mind that as it is also student’s day, the Rosedal park in Palermo will be very crowded as it will be full of high school kids celebrating). Later on stop by the Fierro Hotel garden where there will be a Springtime celebration with happy hour and tapas from 6pm-8pm! Soler 5862, Palermo. 3220-6800. 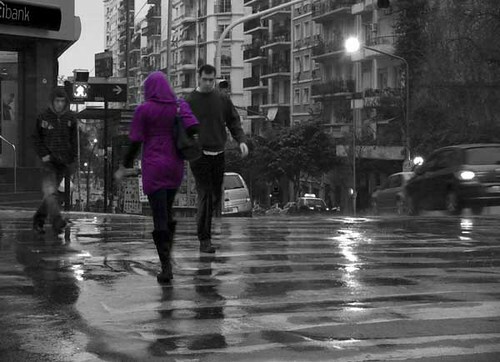 In the evening pick one of the many live shows that will be staged as part of the 2012 Buenos Aires Music Festival. Find a full program here. 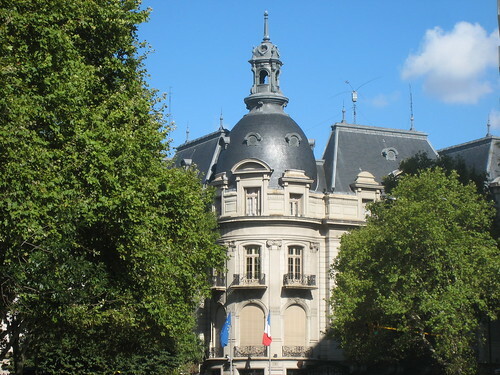 On Saturday take a tour of the French side of the city starting at 3pm at Cerrito and Av. Alvear. September is one of the most popular months of the year for travelers, as the weather gets warmer and spring arrives. This year there will be many events ranging from spiritual to culinary; details below. Brazil Month in Argentina: During September Argentina celebrates Brazilian culture with a number of musical, and artistic events. Find the full program here. FeVida 2012– from the 6th to the 9th of September there will be a spiritual convention with local and foreign visitors including Sri Sri Ravi Shankar, Isha, and others who will be talking about different aspects of spirituality. Find the full schedule of FeVida here. On Sunday the 9th there will also be a massive international meditation, which in Buenos Aires will be led by Sri Sri Ravi Shankar at 2pm at Dorrego and Figueroa Alcorta in Palermo. Casa FOA Molina Ciudad 2012 will be taking place in La Boca from the 7th of September until the 14th of October and is a great chance to get to know Argentine architecture and design tendencies. More information here. Av. Regimiento de los Patricios, La Boca. Vinos y Bodegas- Wine lovers can’t miss this three-day event at La Rural that will showcase the best Argentine wines and wineries from the 13th to the 15th of September. More information here. Brazilian Bossa Nova king, Gilberto Gil, will be performing at the Gran Rex theatre on the 6th. Tickets here. Megadeth: 14th of September at the Estadio Malvinas Argentina’s. Tickets here. Die Toten Hosen: 15th of September at the Estadio Malvinas Argentina’s. Tickets here. Liza Minnelli will be staging a show on the 24th at the Luna Park Stadium. Tickets here. The Jamaican band The Wailers will be celebrating Jamaica’s 50th independence anniversary at the Vorterix theatre in Colegiales on the 27th. Tickets here. DAIN Usina Cultural is more than just a bookstore. Their main thing is to sell books, sure, but their aim is also to promote culture through live musical events, film debates, readings, art exhibits and all with the option of sitting down to enjoy a delicious gourmet meal with vegetables from their own organic garden! Nicaragua 4899, Palermo.4778.3554. info@dainusinacultural.com. Clasica y Moderna is one of the city’s cultural hotspots where books reign and live music colors the nights. Additionally it has a great restaurant with a few fixed menus which feature carefully prepared Argentine cuisine. Callao 892, Recoleta. 4812-8707. 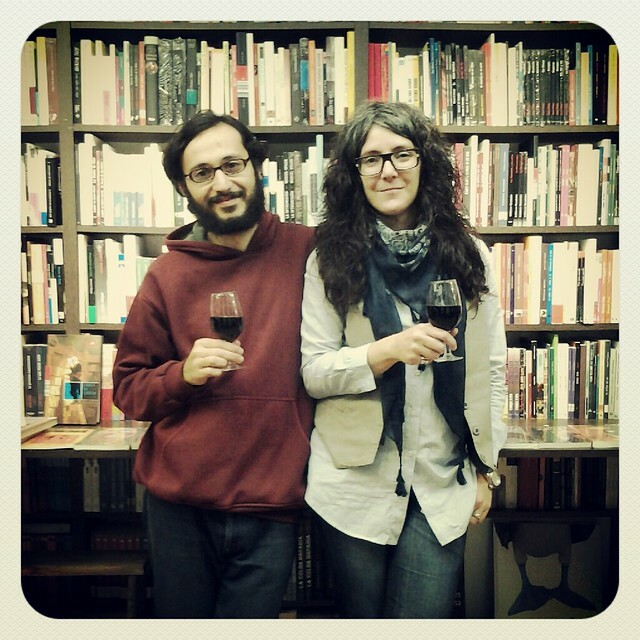 Abulafia Libros is a space for book and wine lovers alike. The Palermo centered bookstore, complete with a black cat and all, is a great place to buy a gift or to sit and enjoy the fine pleasures of life. They also host films screenings and intellectual evenings. Borges 1985, Palermo. 4833-9184. Although not really a bookstore, the gorgeous Sociedad Argentina de Arquitectos is THE architectural hotspot in the city and has the added plus of a beautiful architecture library that is open to nonmembers for only 10 pesos. Also on the premises is Restó, a guaranteed palate pleaser specializing in French auteur cuisine. Montevideo 938, Recoleta. 4816-6711. Find more recomended Buenos Aires bookstores here. 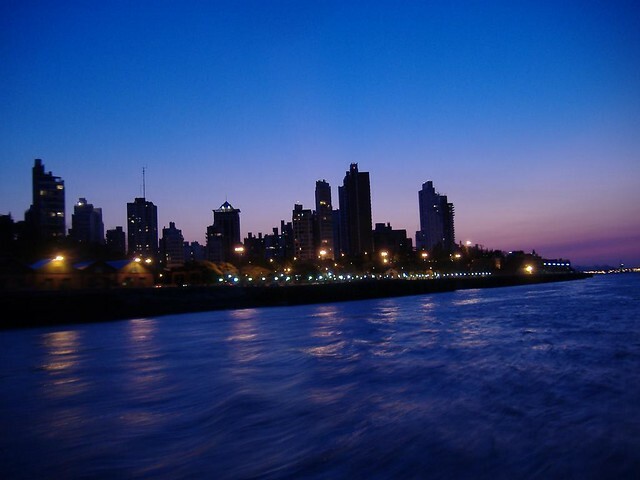 Rosario is the third largest city in Argentina, after Buenos Aires and Cordoba, and, at just 298 km from the capital, it is a common destination for Porteños on a short visit. It´s architectural and historical relevance, as well as its vibrant cultural life and privileged setting over the Paraná River, make it an interesting place to visit. 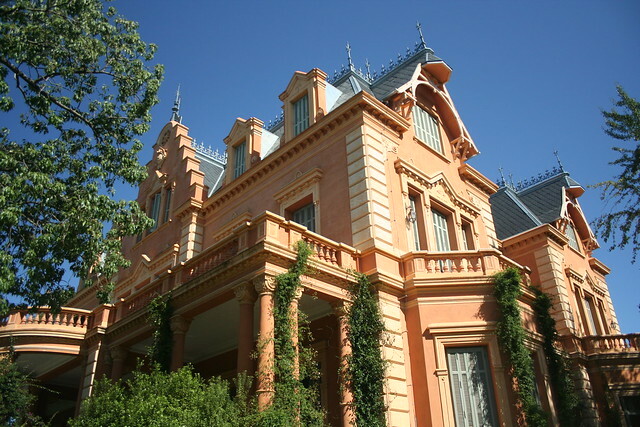 The most popular attractions include the monument to the Argentine flag, where it was first hoisted in 1812; the Plaza San Martin, which is surrounded by Italian neo-renaissance, German neoclassic and art deco architectural styles; an art nouveau- modernist route; the art deco Pasaje Monroe; Batten Cottage, which looks like a street out of London; Parque de España, which was funded by the Spanish and opens to the Paraná river; El Bajo, a neighborhood that overlooks the river with cultural and gastronomic options; the Museo de Arte Contemporaneo de Rosario (MACRo) which exhibits the largest collection of Argentine contemporary art in the country. and the Museo Municipal de Bellas Artes Juan B. Castagnino (the largest after the Museo Nacional de Bellas Artes in Buenos Aires). Of course, the Paraná River is an attraction in itself and there are many water related activities to participate in as well. 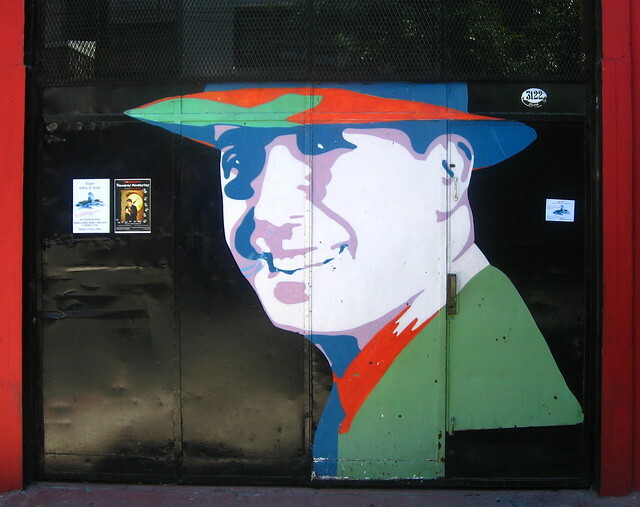 Additionally, Rosario is the birthplace of many renowned Argentines including artist Antonio Berni, comic artist Fontanrosa, the polemic Che Guevara, and football star Messi. Local flights to Rosario are offered by Aerolinas Argentinas and leave from Aeroparque every day. 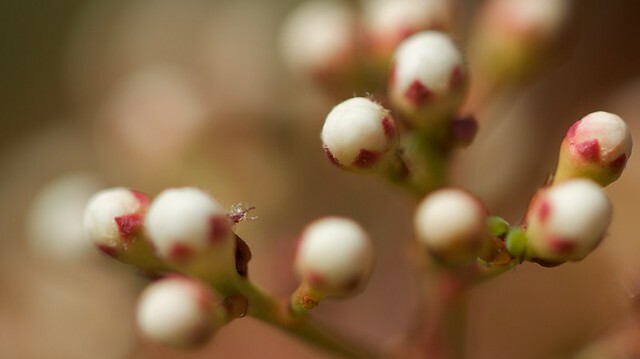 The flight lasts approximately an hour and a two-way ticket costs approximately 600 pesos, depending on the season. There are also two trains that leave from Retiro train station from Monday- Friday and take approximately 7 hours. Returns from Rosario are from Sunday-Thursday. A one-way ticket costs between 20-70 pesos depending on the train and seating. The train schedule is available here. Pullman City Center Rosario: This 5 star hotel has a casino, tennis courts, pool and more. Barisit House Hotel: This centric boutique hotel is a renovated house from the 1900´s. It is ideally located and it has a pool and serves a buffet breakfast.